a new or ​innovative product? 1: You can beat The Law of Market Failure. 2: To beat it you need a new product that is The Right It. 3: I can help you find The Right It. ​and your guide to The Right It. ​As Google’s first Engineering Director, I led the team that launched the phenomenally profitable Google AdWords. AdWords is a perfect example of The Right It—a product which, if competently executed, will succeed in the market. ​Unfortunately, most new products and innovations turn out to be The Wrong It—products or services which, even if competently designed, built, and marketed—will fail in the market. As Google’s Innovation Agitator, I forged, tested and perfected Pretotyping, a powerful set of tools and techniques to help innovators, product managers, and entrepreneurs make sure that they are building The Right It before they build It right. I started teaching "Pretotyping for Innovators" at Google in 2011. Soon, word about the effectiveness of my techniques, workshops, and seminars spread outside the Google campus. In 2012, I began to lecture and give workshops on pretotyping at Stanford University. 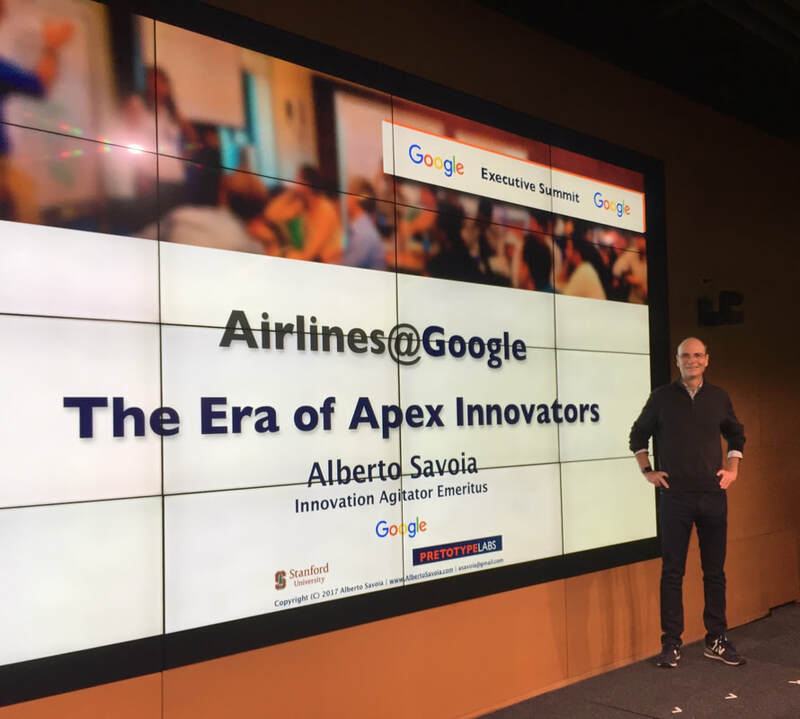 Today, I work primarily with already successful companies that want to become even more successful and join the ranks of Apex Innovators. Sign up for my newsletter to receive insights on innovation, product development, market trends, and more once or twice a month.